Laura Muir clinched a third consecutive title at the Scottish Short Course Cross Country Championships in Kirkcaldy on Saturday (November 11). Muir, racing for the first time since the World Championships in August didn’t disappoint and delivered the world-class performance the crowd in Fife yearned for. 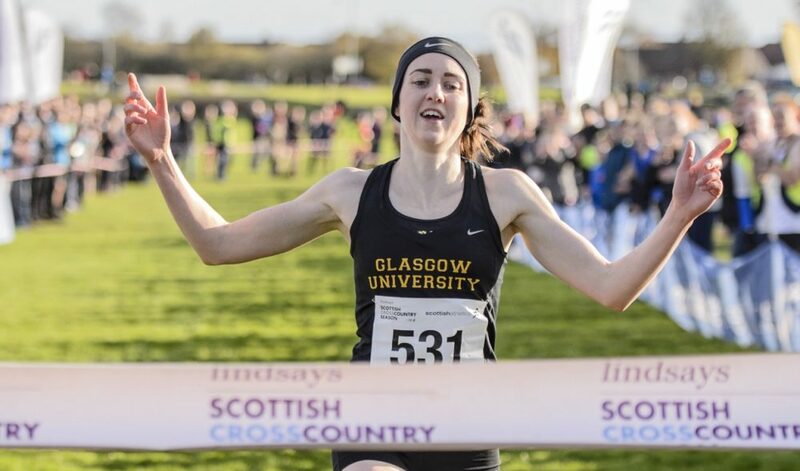 The Glasgow University athlete took the early lead and as the race progressed the gap continued to grow, with Kirkcaldy-raised Steph Pennycook the best of the chasing field. Muir’s victory was never in doubt and the double London 2017 finalist crossed the line in 12:53 to win the 4K gold for the fourth time in five years. Pennycook took silver in the colours of team champions Edinburgh Uni Hare and Hound with 13:47. Central AC’s Morag MacLarty, another regular at the Short Course Cross Country Championships, was third in 13:50. “I really enjoyed being out there racing again and loved the support around the course,” said Muir after her victory. “Did I stretch the lead more on the second lap? I really couldn’t tell you – I was just trying to focus on my own run. Central AC’s Cameron Boyek proved his class to take the win in a keenly-contested senior men’s race. 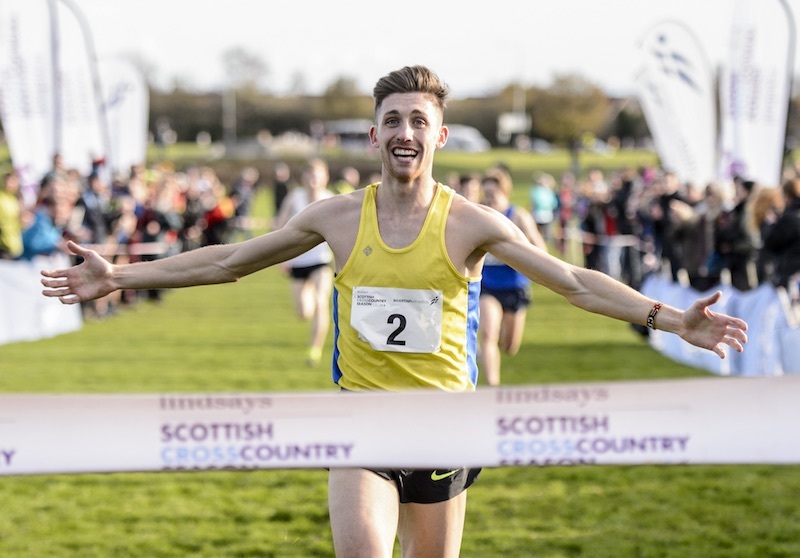 Boyek crossed the line in 12:01 to win a first senior Scottish title after a difficult few years with injuries. The 24-year-old hopes his victory can help earn selection to the GB 4x1500m relay team for the European Cross Country Championships in December. Four seconds behind Boyek a battle took place for the other podium places with three athletes finishing on 12:05. Lachlan Oates of Shettleston took silver by the smallest of margins and Sol Sweeney of Glasgow Uni the bronze medal and the U20 gold. Aberdeen’s Michael Ferguson was fourth. Boyek’s win also helped the Central men clinch a third consecutive team title. “It was good to win that and I knew reading the preview that there were some good names there and strong competition,” said Boyek. “After the injuries that I’ve had, I am determined just to put in a solid winter and that means some cross country – certainly over this kind of distance. I believe there is a 4 x 1500m race at the Euro Cross and I think GB are planning to send a team to that so hopefully winning here helps me stake a selection claim for that,” he added. It was an encouraging day for the sport in Scotland. Numbers are up for these events and as just one example there were 411 finishers in the Senior Men’s 4K race – with that figure being 227 in 2014. Full results and the final team standing can be found here.